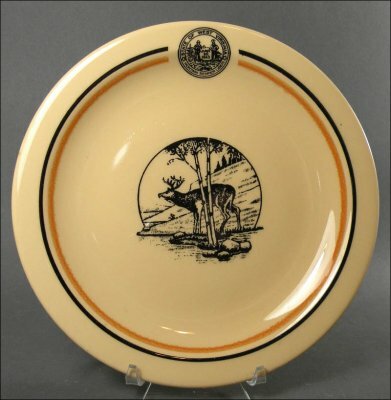 This unusual plate that would be of interest to collectors is the exception: It was made by Homer Laughlin and includes the deer transfer. 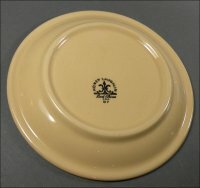 It is 7 3/8 inches in diameter. As you can probably tell from the photos, the quality of the image is quite a disappointment as compared to what we've come to expect from Carr and McNicol pieces. But it is quite a rarity. 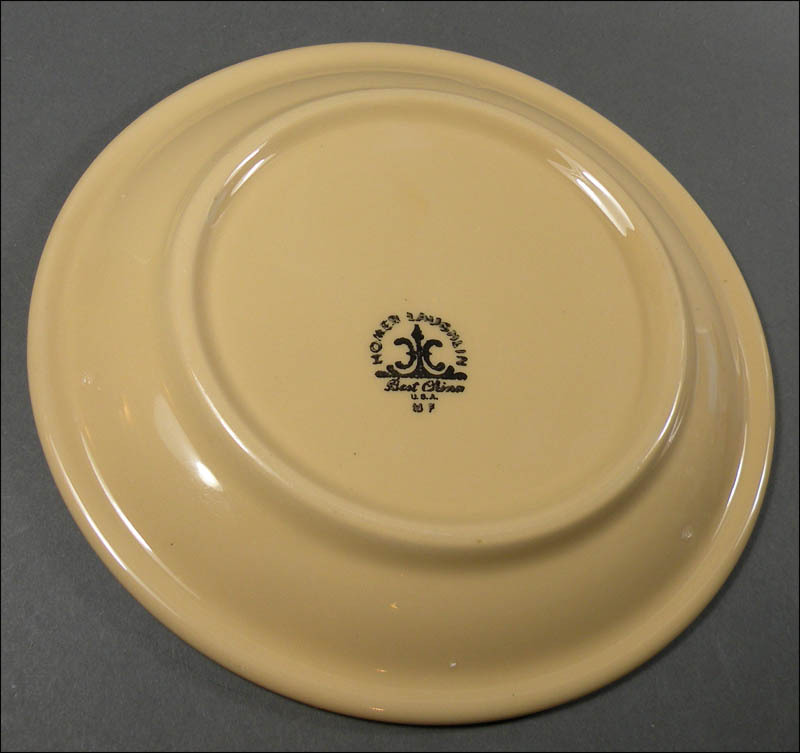 The plate itself is in excellent condition, very shiny and with only a few use/stacking marks.